Would you like to structure and organize an Architectural Plan in a better way? Then this is for you! The architectural plan also requires a design and a functional structure that allows to read with clarity the information that it contains. Today we will begin with another entry on the representation of architectural plans. 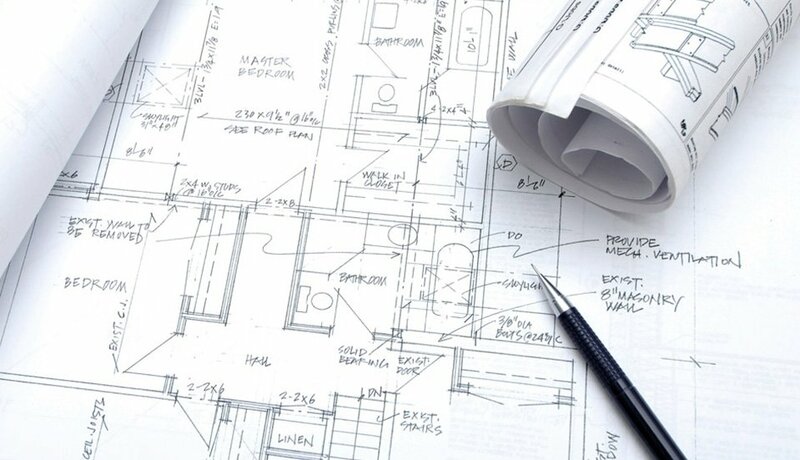 On this occasion we will tell you how to organize and structure an architectural plan. The question is: How to properly distribute the drawings on a sheet? Everything has to do with the scale we are working with and also with the paper format we are using. Remember that the plans should be informative and not only illustrative. Therefore, it is necessary to record as much information as possible in them, but this information must be well distributed in the plan so as not to cause visual saturation. A way to organize the drawings in a plan should start from the foundation and then gradually rise as if they were layers or levels of floor. The composition of the sheet could be done starting at number 1 with the foundation and drainage plant (if it exists). In the number 2 and 3 we can continue with the architectural plants and 4 would be for the rooftop plant. Down at number 5 we can continue with the assembly plant, the 6.7 and 8 can organize it for cuts and elevations. In a sheet we can perfectly fit a project. If you are doing an executive project, I recommend organizing the sheets for “items” just as budgets are made. The architectural can be placed in one sheet, construction details in another, structural details in another and so on we can do the same with the facilities and finishes. On the right side we know that the “flap” of the sheet or data box goes. 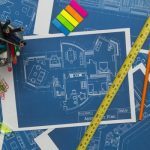 How to structure an Architectural Plan? Very important. It is advisable to put the symbology and the corresponding floor level below the label or name of each space. This is basic. However, the size of the letter must be proportioned so that it does not stand out over the drawing. It must be placed in a visible place that does not overlap with any texture or bread we have. This is a common mistake that many as students have made. The lines through which the cuts or sections that we make must be represented in all the plants. If we are representing a ladder in the project it is very important to define if we go up or down and on which side, in the changes of level we also have to try to indicate if it is going up or down. In tall architectural or rooftop plants you always have to represent the empty or double heights because if not then it will seem that everything is at the same level of floor. Important to mark the axes but trying that these do not interfere much in the drawing, likewise it is necessary to draw them in a proportionate way. The measurements are super important and in the same way we must represent them with a size of number that is similar to the names of the spaces to have a uniformity and harmony in the drawing. We already saw it in a previous post, it is always important the line quality in a plane to define near and far objects as well as load-bearing walls. You always have to specify what the drawing is, if it is a plant, elevation, section, etc. And also place the scale to which it is drawn.